If your child is wild & crazy about their dog(s) they will totally love our brand new zebra inspired design! Available in Passionate Pink, Pimento Red and Big Boy Blue. 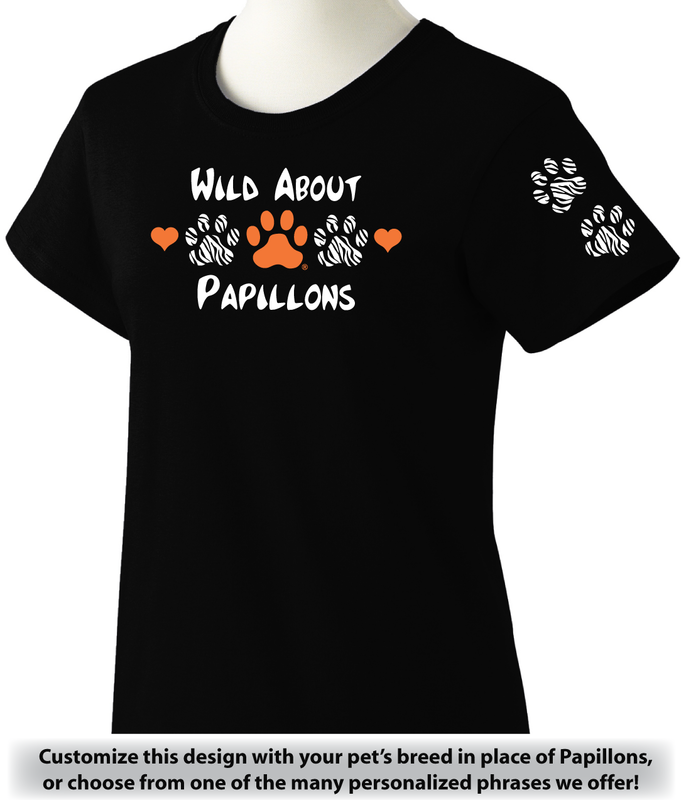 So let them show off a bit of their wild side and order one today, they'll be glad you did! 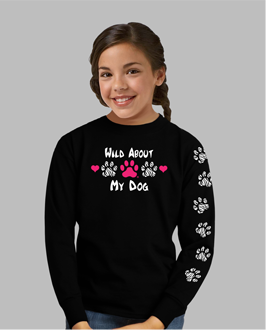 Available in over 80 dog breeds, over 10 cat breeds, plus many other popular name/phrase combinations. 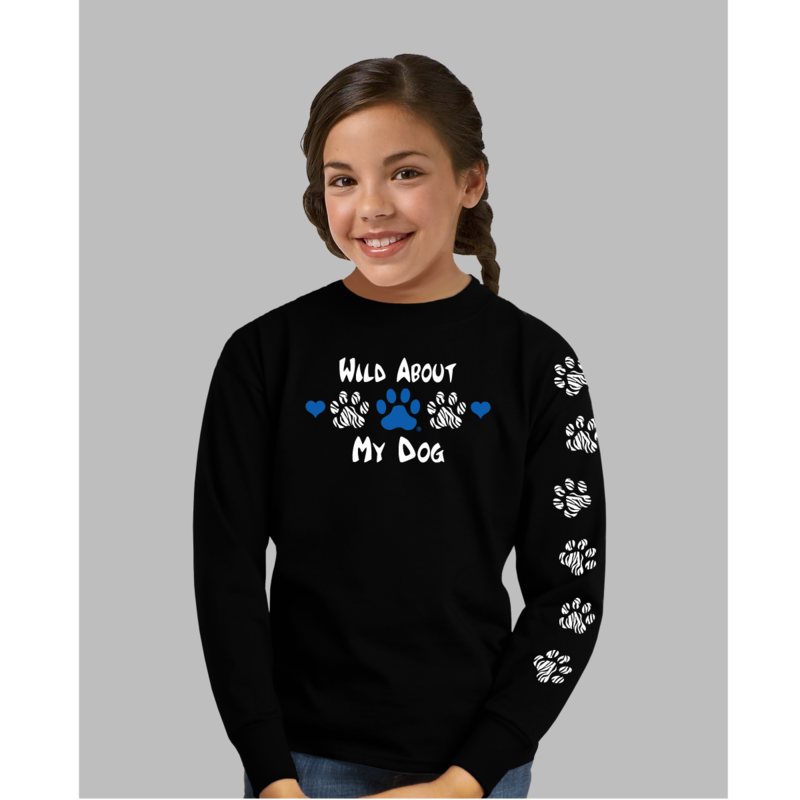 Click here to view our matching "Wild About" shirt for your "furry kid(s)". You may also like our matching "Wild About" decal. Perfect for bedroom windows, mirrors and school lockers. And don't forget to complement your shirt with one of our Paw Print Rhinestone Necklaces. Click here to view all of our popular name/phrase combinations. 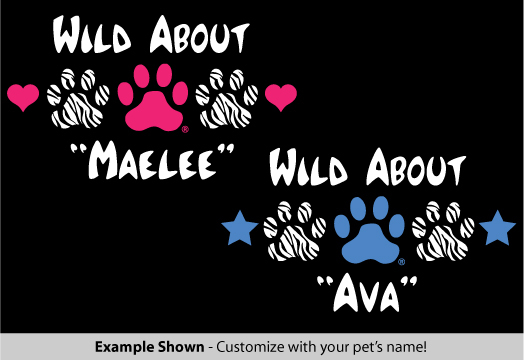 Or...make your shirt really unique when you have us add your pet(s) name. Additional charges apply for custom names. Custom names have a 12 character limit(including spaces). Text: Wild About "custom name" Wild About A ... Wild About Cats & Dogs Wild About Dogs & Cats Wild About My ... Wild About My ... (s) Wild About ... (s) Wild About My Cat Wild About My Cats Wild About My Dog Wild About My Dogs Wild About My Cat & Dog Wild About My Dog & Cat Wild About My Cats & Dogs Wild About My Dogs & Cats Wild About My Grandog Wild About My Grandogs Wild About My Grandcat Wild About My Grandcats Wild About My Furry Kid Wild About My Furry Kids Rescue "Mom" Foster "Mom" ... "Grandma" ... "Grandpa" ... "Auntie" ... "Mom" ... "Dad"